Denver, CO – Who says that nothing in life is free? 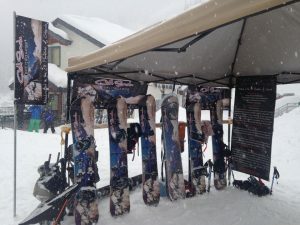 If your motto is “If it’s free, it’s for me!” then read on to see what you can get for free at ski resorts across Colorado. To help guests take advantage of powder that can usually only be reached by hiking, Wolf Creek offers a snowcat shuttle. The Horseshoe Bowl Snowcat Shuttle picks up skiers and riders at the Dog Chutes and takes them to the Horseshoe Bowl. The snowcat shuttle usually runs after storm cycles and on busy holiday weekends with operating hours announced at www.wolfcreekski.com. After the lifts close, Winter Park’s Village comes alive with a number of family friendly activities that are completely free including ice skating, broomball and Campfire Sing-a-longs complete with free hot apple cider on Wednesdays. For adults looking for a little bliss, Winter Park hosts free yoga at The Hill House every Sunday from 7:45 a.m. to 8:45 a.m.
Telluride Ski Resort offers guests the chance to experience a complimentary mountain tour led by a resort host. The tour departs daily at 10 a.m. from the top of the Coonskin Lift (Lift 7) and lasts for approximately 2.5 hours. Intermediate skiing ability is required. 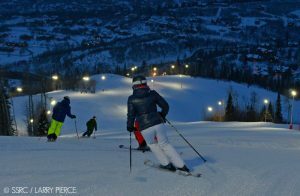 Steamboat offers free night skiing to guests on their day of arrival into Yampa Valley Regional Airport (HDN). Just show your boarding pass at the ticket window. 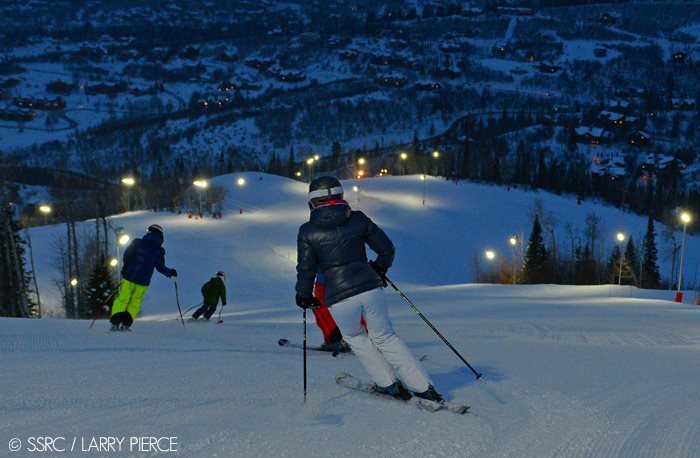 Boarding passes for Tuesday or Wednesday arrivals are good for free night skiing on Thursday night. Until Sunday, January 23, guests who book a Thursday–Saturday package receive Sunday free. Availability is limited so book the Thursday–Saturday package online and then call to receive Sunday free. At Purgatory Resort, aspiring little riders ages 3 to 6 can experience supervised snowboarding at Burton Riglet Park on select dates in January, February and March completely free, equipment included. Powderhorn offers free overnight camping in its parking lot to anyone willing to brave a night of chilly temperatures. The next morning anyone looking to earn their turns can enjoy free uphill access. Loveland allows skiers free access to some of the most exhilarating terrain on Loveland’s 18-passenger Ridge Cat. The Ridge Cat provides access to Field of Dreams, Velvet Hammer, Tickler, Marmot and Golden Bear when conditions permit. In addition to a valid lift ticket or season pass, a free Ridge Cat Pass is required for all users and can be picked up at the Loveland Basin Ticket Office at no cost. The next free ski day at Howelson Hill will be this Sunday, January 15. 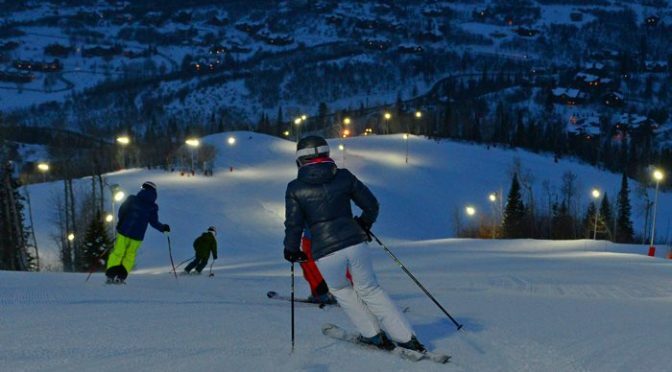 Howelson Hill hosts free ski days throughout the season, which run from 10 a.m. to 4 p.m. and include a ski jumping clinic taught by coaches from the Steamboat Springs Winter Sports Club. Hesperus Ski Area offers first-time skiers and snowboarders up to three free lessons with the purchase of one full-day, full-price lift ticket for $39. This offer is available every day during the season. Every Thursday and Saturday, Granby Ranch hosts live fireside acoustics performed by local musicians. Guests can stop by the 8350 Bar and Bistro on Thursdays and the Granby Ranch Grill on Saturdays from 2 p.m. to 5 p.m. Guests flying into Crested Butte from Los Angeles on Alaska Airlines can receive a free lift ticket anytime they stay before March 25, 2017. Guests can also ski for free the day of their departure by presenting an Alaska Airlines boarding pass and matching ID at the ticket counter. In addition, Crested Butte offers children ages 12 and under free skiing from April 1 to April 9, 2017. On Tuesdays in January and February, Cooper offers buy-one/get-one-free tickets. For just $52 two people can ski for the price of one on 2Fer Tuesdays through February 28. Guests who own an electric vehicle can charge for free at one of two EV charging stations in Copper’s Beeler parking lot in Center Village. Reservations can be made in advance at www.chargepoint.com. Additionally, anyone can stop by Patrol Headquarters or Timberline Patrol Station for a free cup of hot cocoa during National Safety Month in January. Any guest can sign up for First Tracks on Aspen Mountain or Snowmass to gain early access to the mountain completely free. Space is limited so guests must sign up the night before.